Child support is a monetary payment that a noncustodial parent pays toward the living expenses of their children. The amount of child support is based primarily on the parent’s net income, although factors such as medical insurance costs, day care and school expenses and time that children spend in each parent’s home can be considered. Although child support payments often can be agreed upon between parents, a knowledgeable Chicago family lawyer can explain how it is calculated and help you finalize fair, precise terms. If you are the non-custodial parent paying child support, don’t wait until the court holds you in contempt for failing to abide by the terms of your divorce settlement or court order. The child support attorneys at William G. Clark, Jr. & Associates assist clients in Cook & DuPage counties in Illinois, and throughout the Chicago metro area to establish manageable child support agreements. We also offer experienced legal counsel in the modification and enforcement of existing orders of support. 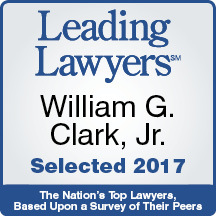 At William G. Clark, Jr. & Associates, LTD., we provide personal, professional representation for a wide range of child support matters. Whether you need to establish child support or are in need of assistance with child support collection or modification, we are prepared to guide you through every step of the process. Our Chicago child support attorneys are dedicated to helping you obtain the best possible outcome to your situation. We handle spousal and child support cases throughout the Chicagoland area. Give us a call today and schedule an appointment at 312-329-1830.